When more data are available than required by the attitude determination software, data segments are often filled with every nth available data point, thereby reducing the size of the arrays which must be allocated in core for processing. Alternatively, when the volume of data is great enough to prohibit retaining all results in core, the telemetry processor can write its results to an intermediate storage device so the attitude determination software can read and process only the data needed for a particular function (e.g., star camera data, Sun and magnetometer data, slit star sensor data, or infrared Earth horizon sensor data). This method was used for SAS-3 and HEAO-1. * For examples of time-checking schemes, see Lerner, et a/, [1974J, Williams, el al, , or Cheuvront and Eiserike . 1. Cheuvront, S. E., and S. S. Eiserike, OSO-I Attitude Determination System User's Guide, Comp. Sc. Corp., CSC/SD-75/6039, June 1975. 2. Fang, A. C., An Analysis of Spacecraft Data Time Tagging Errors, NASA TN D-8073, 1975. 3. Ferris, A. G., NASA-GSFC Mission Opplan 1-73 for the Radio Astronomy Explorer (RAE-B), NASA X-513-73-10 GSFC 1973. 4. Grant, M. M., and M. A. Comberiate, Operating the Radio Astronomy Explorer- B Spacecraft (RAE-B), NASA X-714-73-152, GSFC, 1973. 5. Gunshol, L. P., and G. A. Chapman, Flight Dynamics Resource Requirements for the TDRSS/ STS— Shuttle-Era Payload Support, Comp. Sc. Corp., CSC/TM-76/6105, May 1976. 6. Hefley, G., The Development of Loran-C Navigation and Timing, National Bureau of Standards Monograph 129, 1972. 7. Jackson, Willis, Communication Theory. London: Academic Press, Inc., 1953. 8. Lerner, G. M., J. S. Legg, Jr., R. W. Nelson, J. A. Niblack, and J. F. Todd, MAPS/GEOS-C Operating Guide and System Description, Comp. Sc. Corp., 3000-17400-01TR, March 1974. 9. Peterson, W. Wesley, and E. S. Weldon, Jr., Error Correcting Codes. Cambridge, MA: The MIT Press, 1972. 10. Reference Data for Radio Engineers, Fifth Edition. Wash., D.C., Judd & Detweiler, Inc., 1968. 11. Ryder, J. D., Engineering Electronics. New York: McGraw-Hill, 1967. 12. Scott, J. N„ STDN User's Guide Baseline Document (Revision 2), STDN No. 101.1, GSFC, 1974. 13. Stiltz, H. L., Aerospace Telemetry. Englewood Cliffs, N.J.: Prentice-Hall, 1961. 14. U.S. Senate, Soviet Space Programs, 1966-70, Staff Report for the Committee on Aeronautical and Space Sciences, 92nd Congress, Document No. 92-51, Dec. 1971. 15. 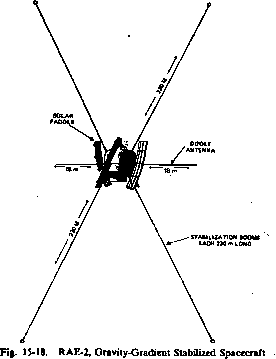 Williams, R., D. Stewart, C. Cowherd, T. Hattox, D. Kramer, and W. Palmer, Radio Astronomy Explorer-B (RAE-B) Attitude Support System Program Description and Operating Guide—Volume I, Comp. Sc. Corp., 3000-05300-02TR, May 1974.